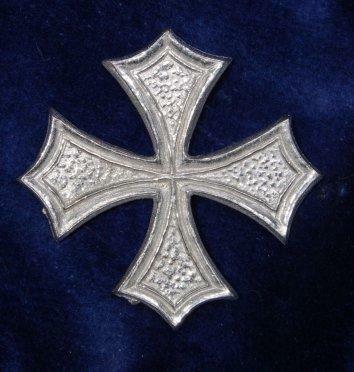 Occidental Cross. Each of the points represent an apostle. 4cm across. My own design. Two lapel pin fixings on the rear.